In a dystopian future, a young boy strives to reunite with his father. The White King is adapted from a series of short stories by the Romanian novelist György Dragomán, influenced by his experience growing up under Ceausescu’s regime. It tells the story of Djata (Lorenzo Allchurch) - a 12-year-old boy living a meagre, stripped-down existence in a rural totalitarian society. Despite the restrictions of his environment he is happy with his doting parents, until his simple life is shattered when his loving father Peter (Ross Partridge) is abruptly taken away. Djata’s mother Hannah (Agyness Deyn) pretends that his father is temporarily working elsewhere because of his particular expertise, but of course in reality, he has been taken to a brutal prison camp as reprisal for speaking out as a political dissident. It may appear that there are a few narrative threads that unify the events of the movie, but this may be down to the episodic nature of the source material. Balancing a number of themes certainly presents a challenge to the filmmakers. The glue that holds the film together is Djata’s evolving political consciousness and his overwhelming belief in his father’s goodness and determination to see him again. He strives to this end with a courage and ingenuity that see him pushing back against the restrictions of the regime. The success of this portrayal is due in no small part to a wonderful performance by the young Allchurch as Djata, whose slow-burning grief and anger are compelling to watch. Djata’s mother, played by Deyn, is also affecting in her desperate efforts and damaged defiance. Respected veteran thespians Pryce and Shaw are predictably excellent as the grandparents, torn by their love for their son and grandson, but trapped in their privileged lifestyle as staunch supporters of the regime. Husband and wife team Helfrecht and Tittel wisely concentrate on the human element, making the main basis of the story a relatable, personal narrative - a young boy’s desperation to be reunited with his father, and allowing the actors to make the plot more character driven. The aesthetic is also satisfying as the setting is well used and the film presents good cinematography, great characterisation, and an atmospheric score. This is not a film offering stirring moments of heroic uprising. 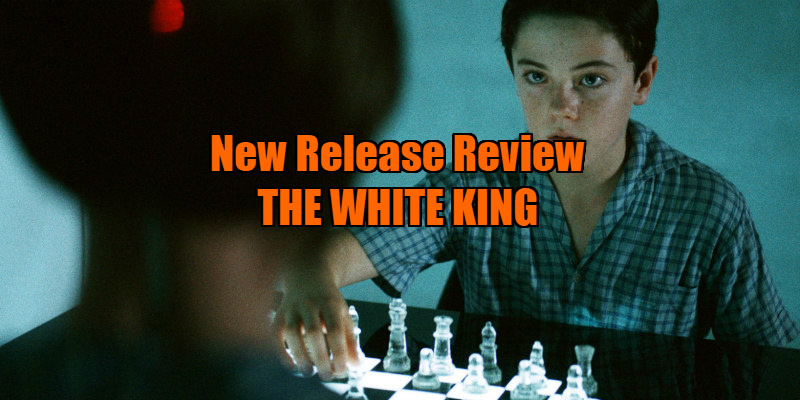 Unlike The Hunger Games and similar visions of young people in a dystopian future, The White King attempts no grand gestures of defiance that rally the people to a cause or to rebellion - it gives no easy answers to the threat of fascism or totalitarianism, and the movie is all the more poignant because of it. This is the story of everyday life under a regime of indoctrination and oppression – heart-breaking, compelling, and timely. 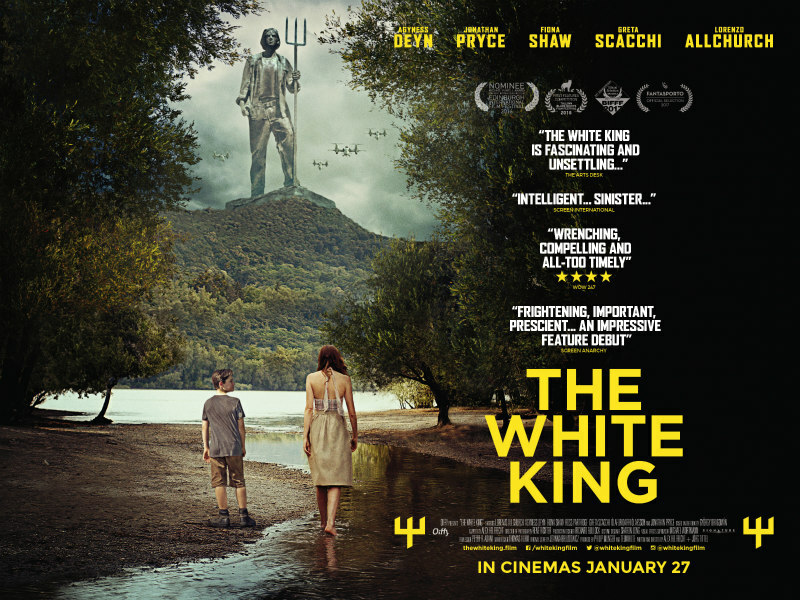 The White King is in UK cinemas and on digital now, and on DVD from January 30th.